Cold weather often brings on worries of cabin fever. However, you don’t have to succumb to boredom this season even if you’re going through post-hospital care in Vancouver. To help you stay occupied and keep your spirits up, we’ve compiled a list of five activities that are great for anyone to participate in. 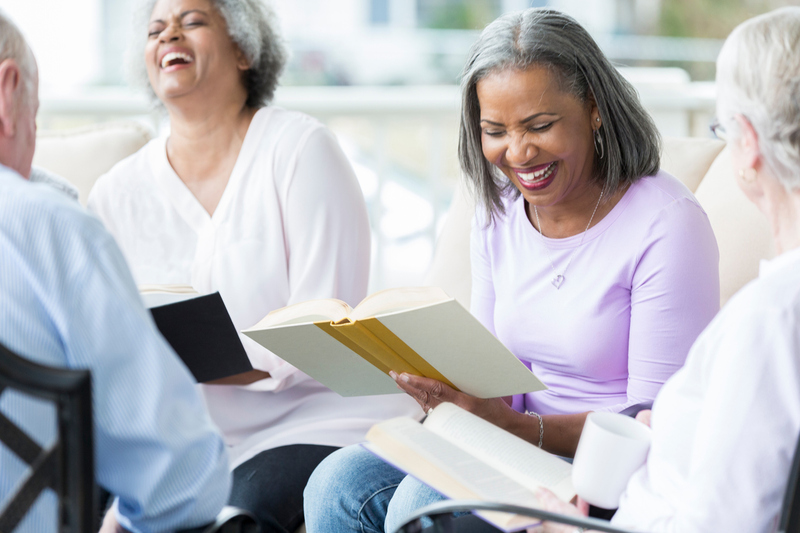 You can browse the Internet or consult your local library to see if there are any book clubs meeting in your area. Secondhand book shops and even big box retailers will also usually post flyers for local book clubs. This is a great way to meet new people and discover new titles that you might not have otherwise chosen. Genealogy research is like a treasure hunt for family information. There are plenty of databases and websites available to help you get started, and there are even subscription-based services that will help you with some of the research. This is an especially great project for those on home support in Vancouver because it rarely involves leaving the house. While this can be a fun way to beat boredom for anyone, this is a particularly good activity for patients who are dealing with dementia in Vancouver. It can sometimes be difficult to find seasonally appropriate activities to keep dementia patients stimulated and happy, but planning a real or imaginary garden is perfect. You can order seed catalogs to peruse, decorate garden pots and use graph paper to plot out as many different designs as you’d like. Museums often host free or discounted admission days, and many keep a calendar of special events as well. Most museums will also display rotating exhibits, so even if you’ve visited all of the nearby locations before, you may still find something new. If you don’t want to leave the comfort of your home, you can also take virtual tours. The Metropolitan Museum of Art offers virtual exhibit tours that are dementia-friendly, so this is another activity to keep in mind. You can never go wrong with classic board games, but there are dozens of new ones available as well. The next time you’re out shopping, peruse the game and puzzle aisle, and see what catches your eye. 3D puzzles and silly card games are fun ways to pass the time, and they’re great for people in palliative care in Vancouver. There are plenty of other creative ways to keep boredom at bay this season, so don’t be afraid to think outside of the box.